JEFF Napa is in line to be the next head coach of reigning NCAA champion Letran Knights, sources told Spin.ph. The UAAP champion mentor of the National University Bullpups has emerged as a strong candidate for the post vacated by Aldin Ayo, who moved to De La Salle after leading the Knights to the championship last season. No official announcement is expected to be made by the Intramuros-based school over the next few days as Napa is still in the middle of NU’s campaign in the UAAP juniors finals against De La Salle-Zobel. Napa, the source added, will bring with him fresh recruits to Letran’s basketball program, particularly from Pampanga, once he formally lands the coaching job. “He won’t be going to Letran without the pieces to form a competitive team in the NCAA,” said the source. The same source added Napa’s possible move to Letran has the blessings of NU management. Under Napa’s watch, the Bullpups won the title in 2013 and could regain the crown this year as the team is just one victory away from beating the Juniors Archers in the championship series. 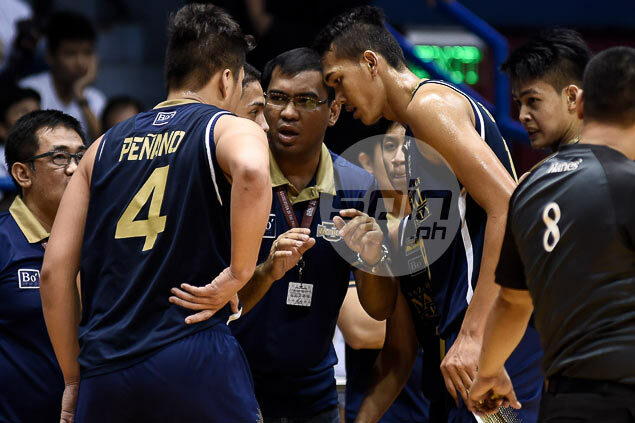 So far Napa has avoided questions related to Letran ever since his name cropped up as candidate for the post, opting to focus solely on the Bullpups' quest for the title.